I often crave this snack at night, when I want something savory like a potato chip. If you cook it enough, you’ll even get a bit of crunch around the edges. 1. Place slice of provolone on a microwave safe plate. 2. 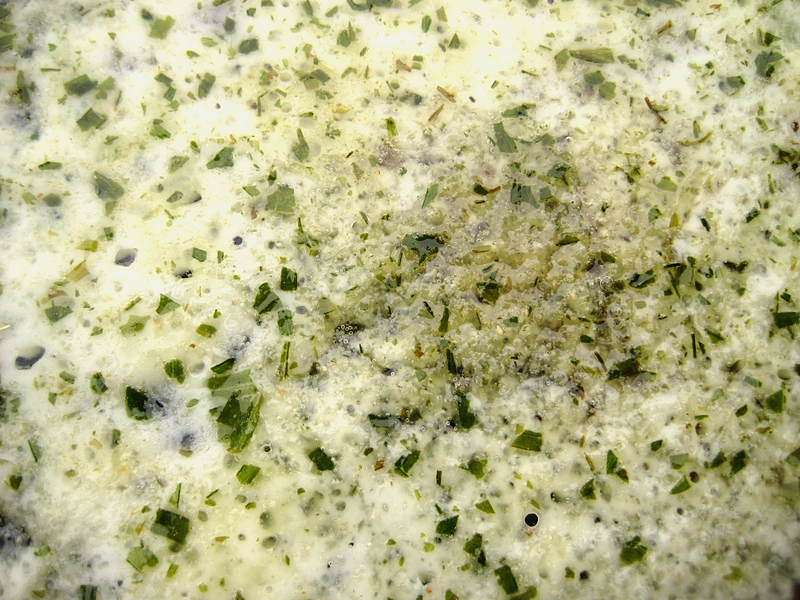 Sprinkle cheese with herbs and garlic. 3. Microwave on high about 40 seconds. Experiment with herbs – I like oregano as well and I’m sure some of you would like dill. Look in your spice cabinet and go a little crazy. Experiment with the cheese too. Try a different cheese. Combine cheeses.